From the Water it Comes | Just Shooting Memories! One of the projects that I have wanted to do for a while has been a project 365. I have come to the realization that it is not a practical goal, so I have decided to start a project 52 instead. One photo a week for 52 weeks. In order to make it different that my daily photo blog, I have set themes for each weekly photo. Drop by the project 52 site and let me know what you think. Also, anything worth doing is worth sharing, so leave a comment here or on the project 52 site if you would like to share this adventure and your weekly photos to the world. For the beginning of 2013, I bring you the last adventure from 2012. 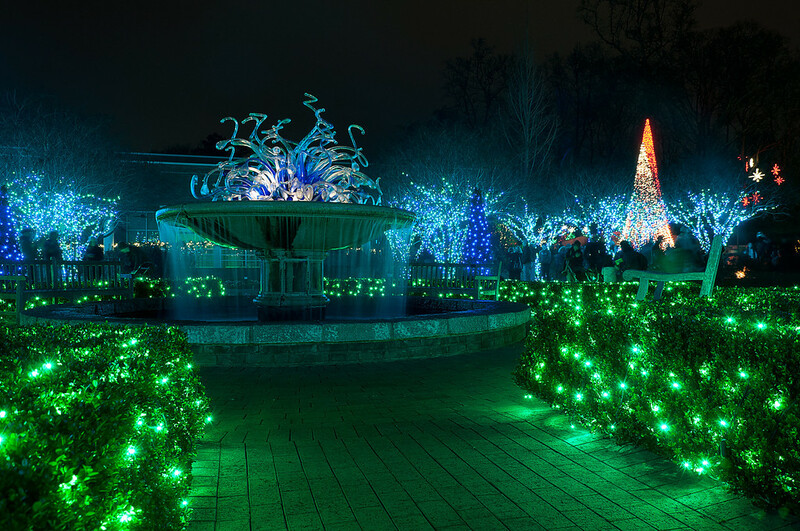 I spent the evening with my family and friends at the Atlanta Botanical Garden’s Garden Lights display. When I was planning it, I did not know how much fun it was going to be, nor how beautiful the garden would be decorated in Christmas lights. This shot is of the fountain in the middle of the Levy Parterre.